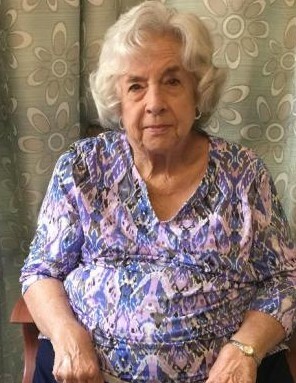 Mrs. Saralene Hines, of Airton, passed away Monday, January 28, 2019, at her residence. She was 76. Funeral services will be held 2:00 P.M. Saturday, February 2, 2019, at Old Tabernacle Church (11596 Hwy 51 New Brockton, AL. 36351); with Rev. Wendall Benner officiating. Interment will follow Old Tabernacle Church Cemetery with Keahey Funeral Home of Clio directing. The family will receive friends one hour prior to services (1:00 P.M.) at the church. In lieu of flowers, please make contributions to Old Tabernacle Church C/O Nell Sims 345 Co. Rd. 257 New Brockton, AL. 36351. Mrs. Hines is survived by husband, Jessie Ray Hines of Ariton, AL. ; her brother, Roger (Alice) Simmons of Clio, AL. ; her sister, Patricia Bohannon of Maryville, TN. ; two nieces; Susie Bush and Tavia (Joery) Scott; and one nephew Kevin (Allison) Baxter; two great-nieces Alli Bush, and Sara Beth Scott; three great-nephews, Nick Bush, Trey Scott, and Elliot Baxter. Although Mrs. Hines had no children of her own, she very much loved all of her nieces, nephews, and great nieces and nephews as if they were her own.